When Americans celebrate publication of the Declaration of Independence on the Fourth of July, there is seldom reflection upon the many dramas preceding that fateful day. 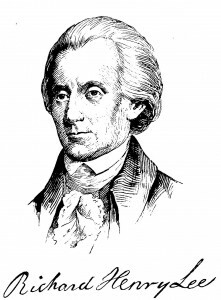 This is the first of a three part series focused on Richard Henry Lee, who placed the question of independence before the Continental Congress in June, 1776. The story is continued at Part Two. 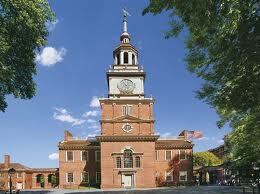 Richard Henry Lee awoke in Philadelphia on June 7, 1776 with both excitement and trepidation. This was to be a momentous day. Preparing for his day, he slipped the black satin glove on his left hand that he always wore in public. He daily cursed the rifle that had exploded eight years earlier that took four of his fingers. The cauterized stubs on his hand were a constant reminder of the year that he lost not only those fingers, but his beloved first wife, Anne. He reflected often on that “excellent lady” of the “most amiable goodness” gone in the “bloom of life”. He did so momentarily before the importance of the day returned him to the present. There was work to be done. 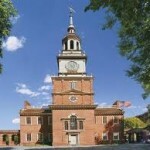 Lee was a Virginia delegate to the Second Continental Congress of the United Colonies that had been meeting in Philadelphia since May, 1775. Despite the fact that armed conflict was ongoing between British soldiers and the Continental Army, and the immense popularity of Thomas Paine’s pamphlet Common Sense, which called for independence, Congress had carefully maintained a public posture that affirmed the colonies’ allegiance to King George III. Many of Lee’s fellow delegates hoped to reconcile with England. There was also the issue of treason and English law defined treason as betrayal of the king. Maintaining a position of royal allegiance, even while at war seemed a technical protection against a treason charge, and Congress was dominated by lawyers. A discussion of “independence” in so public a forum might be deemed treason, so “independence” had been a word tactfully avoided during congressional debate. Today Lee would not only speak the word but submit a resolution to abandon the pretense of royal fidelity and run the risk of treason. The time had come, and fate had selected Richard Henry Lee as the vehicle. He left for his work day in Congress. As he walked to the Pennsylvania State House, he thought of his conversations with Pennsylvania delegate John Dickinson. Dickinson opposed independence, and extolled the virtues of the colonies’ British heritage and traditions. Among other things Dickinson brought up Magna Carta and the 1689 English Bill of Rights. Lee smirked at the thought of bringing up those subjects to support opposition to independence. 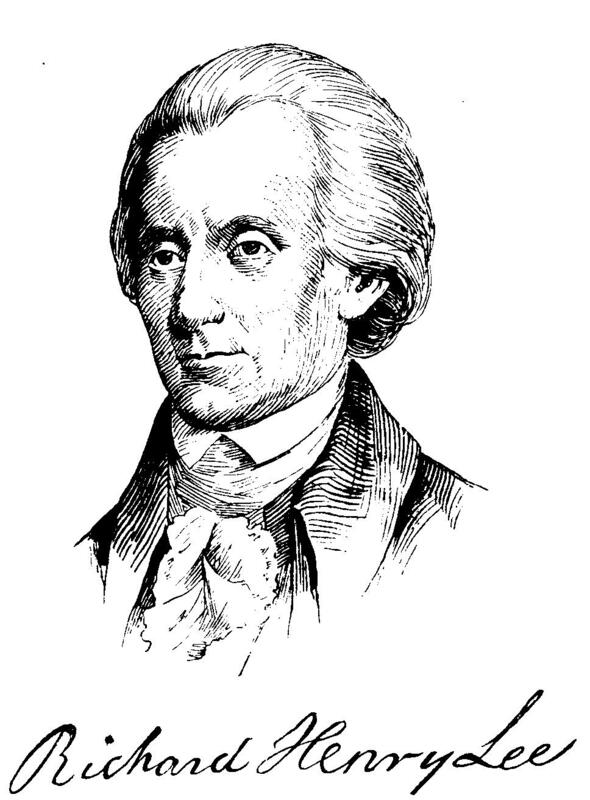 Lee’s formal education in history at Wakefield Academy in Yorkshire, England, and his personal studies of the subject since had given him a healthy skepticism regarding the value of those two “symbols” of the British commitment to liberty. Like all good history students, Lee knew that in 1215 England’s King John had set his royal seal to a document called “Magna Carta”. The magnificent phrase in Latin is much less impressive in English: “Big Paper”. The document had in fact been written on very large piece of paper. King John sealed that document surrounded by the unsheathed knives of his own barons. The king had been trying to recoup his losses from an expensive and unsuccessful war with France’s King Philip II by taxing English nobility. The baronial families were having none of it, and responded to John’s efforts by occupying London with their own knights. The barons sought neither independence nor freedom for England’s population. They wanted a peace treaty with John that confirmed their place at the top of the English feudal system. 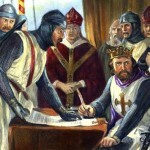 The result was “Magna Carta” which turned out to be not very effective in keeping the peace. 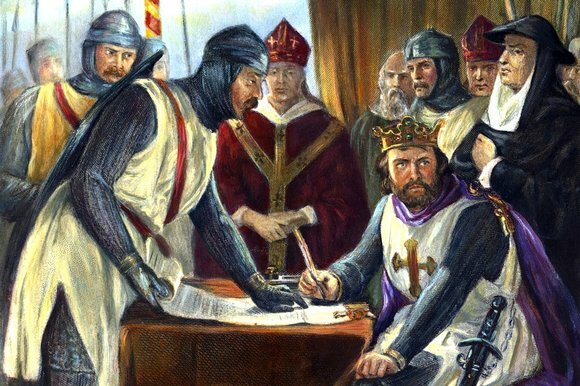 Only a single Magna Carta clause of more than sixty in the document would have severely restricted the king’s authority and King John was ultimately not ready for even that limit. A short three months after he set the royal seal to “Magna Carta”, John pressed Pope Innocent II to annul the “shameful and demeaning agreement” that had been “forced upon the king by violence and fear.” The Pope issued the annulment and civil war followed. The war only ended when King John died of dysentery in 1216. Lee’s reflection on the Magna Carta reminded him that whatever little value Magna Carta may have for an Englishman in England, it had no value to an American in America. 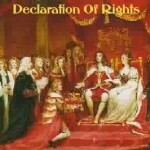 What Value Was the “English Bill of Rights” to Americans? As he turned the corner a block from the State House, Lee considered Dickinson’s other example of the alleged British commitment to liberty: the “Glorious Revolution” and its 1689 “Bill of Rights”. Again, Lee found the symbol lacking. In 1688 The Dutch Sovereign Willem sent his navy to England’s shores and led his army into England and took control of London. England’s King James II fled the country for France. Willem changed his name to William (to appear English, not Dutch) and with his Dutch troops occupying London became King of England. 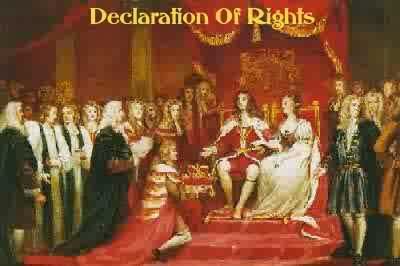 Lee smiled at the irony that the English “Declaration of Rights”, so revered by Englishmen, was an agreement with a Dutchman. To add to the insult to England, the Dutchman’s wife, Queen Mary, was James II’s daughter. So, this great symbol of English liberties was formed during a Dutch occupation of England, creating an “English” king who had chased out of England the father of his wife, largely because James was Roman Catholic. Ah yes, the great statement of English liberty. Lee reminded himself to thank Mr. Dickinson for giving him another reason that Americans needed to be independent of a country so internally wracked with wars and royal intrigue. Dickinson’s use of this “Glorious Revolution” to extoll the English tradition of liberty and a reason to postpone independence was as misleading as his invocation of Magna Carta. Besides, the alleged “rights’ from 1689 were not recognized by the British as belonging to Americans. The British abuses of the Americans for the last thirteen years were clear evidence of that. No, the time was now to be done with any pretense at reconciliation. Having given due consideration to Dickinson’s thoughts, Lee arrived at the Pennsylvania State House and entered the first floor meeting room promptly at 10 AM. It was the appointed hour for Congress to convene, but as was typically the case only a few delegates were present, and they were visiting with each other, few anxious to begin the day’s proceedings. To Lee, it felt as though he was the single delegate interested to proceed with business. Members arrived and Lee exchanged pleasantries. As Lee was about to take his seat he was approached by Massachusetts’ John Adams. Adams had been the Congress’ most vocal proponent of independence, and offered Lee his encouragement in proceeding with the resolution. While Lee had long been aware of Adams’ support, the discussion with Adams today was most welcomed and cemented Lee’s resolve to go forward. Following the conversation with Adams, Lee sat down at Virginia’s table. Soon he was joined by fellow Virginian Thomas Jefferson. In the past Lee had talked with Jefferson about the lack of precedents in English history for independence, but the two were not talking much today. Jefferson had said good morning, but as was typical, little else. This day Lee was relieved to be sitting next to a man of so few spoken words as Lee was lost in his own thoughts. President John Hancock of Massachusetts arrived and settled into his chair at the front of the room. Hancock noted that enough members had arrived to call the meeting to order and did so. The Congress was now in session. This Friday assembly began by addressing ongoing business. Among the day’s issues would be compensation for Mr. Charles Walker, owner of the sloop Endeavour, which had been commandeered by the colonies. Also under consideration was the status of military battalions raised in the colony of South Carolina. This regular business gave Lee time to contemplate the momentous nature of his coming action and to consider how it had fallen to him to officially broach the subject of independence in the Congress. Lee looked around at this gathering of leaders from the British North American colonies. He noted the absence of any Canadians, despite three attempts to involve them in the Congress. Lee himself had served on the committee for the first effort to communicate with the Canadians. Despite continuing congressional efforts and an American military excursion to Montreal, no response ever came from Quebec. The Canadian circumstance was of some regret to Lee, but surely no reason to delay independence. Today Richard Henry Lee was firm in his resolve to bring the question of independence out into the open and beyond the conversations over an ale at the City Tavern. 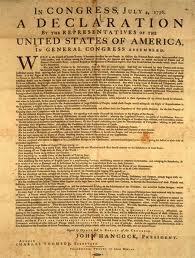 The story continues with The Resolution for American Independence: Part Two and Part Three.